Guangzhou, April 14th to April 26th, 2014 –A Delegation of 3 people, led by the general managers Mr. Carlos, Mr. Luciano and Mr. Egidio from Brazil visited HUIYUN. All guests received a warm welcome by the CEO Mr. Sunny Deng and his senior management team. With an impressing new look of the HUIYUN factory, Mr. Luciano and the other guests listened to the CEO of HUIYUN, Mr. Sunny Deng’s presentation about the company. The presentation delivered a fresh company overview, including R&D, supply chain management and automatic machinery. Mr. Luciano has a long business relationship with HUIYUN for more than 10years. And he was surprise at the fast development of HUIYUN and he showed their great interest and confidence in HUIYUN’s future business operation. At the end of visiting, Mr. Luciano was impressed by his Birthday party. 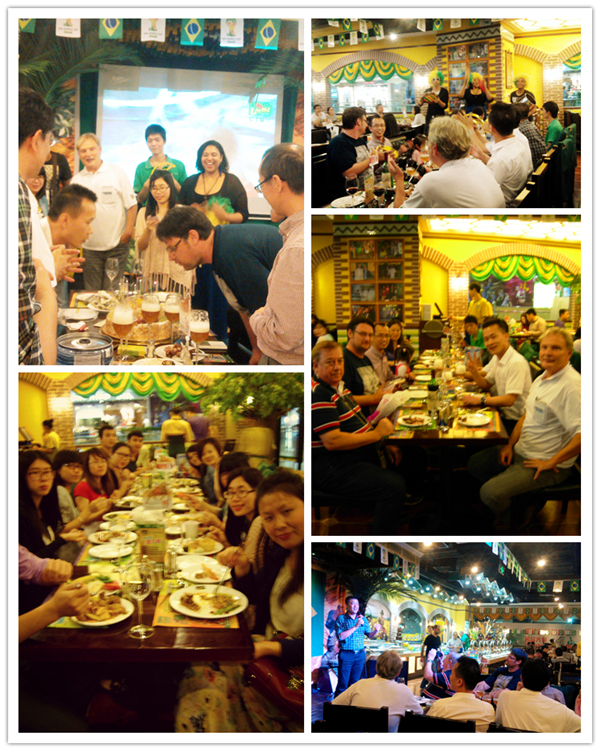 Staffs in HUIYUN wish him has health and success, and our business relationship will permanently.